A few days ago I was analyzing some content download websites focused on making money via CPA offers and found a few websites that were using other strategies to earn money. While I love using CPA offers, I know it’s not something that everybody does because it needs time to find good offers and good networks. That’s why many people still look for Adsense alternatives and networks where they can just copy the link and paste a code to make money with ads without them having to optimize the conversion process on their end (CPC model instead of CPA model). Some of the websites I was analyzing had no Adsense or banner alternatives. And they weren’t using CPA offers either. What where they doing? They were earning money from linking out to the download pages or videos. Well, every link they had on their website had to pass trough a redirection were the visitors had to see an ad for 5 seconds before they could continue to their final destination. Sounds familiar? This isn’t something new, but I was impressed on how much revenue they could earn just from linking out. I once used this method to earn money from viral pages, but there are better ad networks now, and so I was contacted by Shorte.st. They explained me their monetization methods (which I’ll explain below) and I was impressed to see how much the technology has grown from what I used 3 years ago in my tests. I was even more impressed by the fact that some of their publishers were earning$20,000 – $30,000 USD with their websites using this method only, and the good things is that it’s easy to implement. I also had the opportunity to see how some people with large Facebook or Twitter accounts made $4,000-6,000 with Shorte.st just by sharing links in their profiles. I know many of you have seen how a URL/link shortener works. You just need to copy the URL you want to shorten and paste it on a service like Bit.ly or Google and you’ll get a shorter URL and access to basic stats like the number of hits and countries where visitors are coming in. URL shorteners were originally made to make links prettier and easier to share. A shortener works with a basic 302 redirection and can help you keep track of your posts from different services. But what if you ad in interstitial ad before doing the redirect? You get something like Shorte.st. Shorte is an advertising network based on links that are distributed on the web. They offer a wide range of monetization options for Webmasters all an alternative to the traditional banners. You can earn money with Shorte without a website too, if you have large FB or Twitter accounts. While it sounds like they have tons of options, most of them can be implemented at the same time as they’re focused on website monetization. Installing Shorte.st in your website takes less than 5 minutes. All you have to do is generate and customize a code in their dashboard (click here to register) and then paste that code into your website. Even faster, if you’ve got a website running under WordPress CMS, you can download their official plugin from the WP repository and just add your API number from your Shorte account and you’ll be good to go. Let’s see all the features and menus from your Shorte.st dashboard so I can explain what you can do. 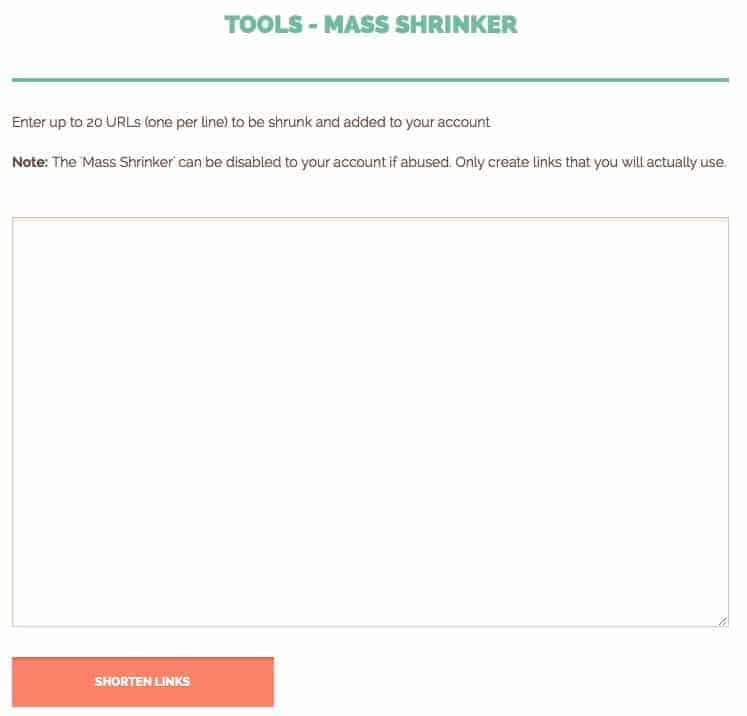 If you have many links and don’t want to create your Shorte links 1 by 1, just copya and paste all of your destination URLs into the mass shrinker tool and you’ll be good to go. It can create up to 20 links for you to share in less than 5 seconds. 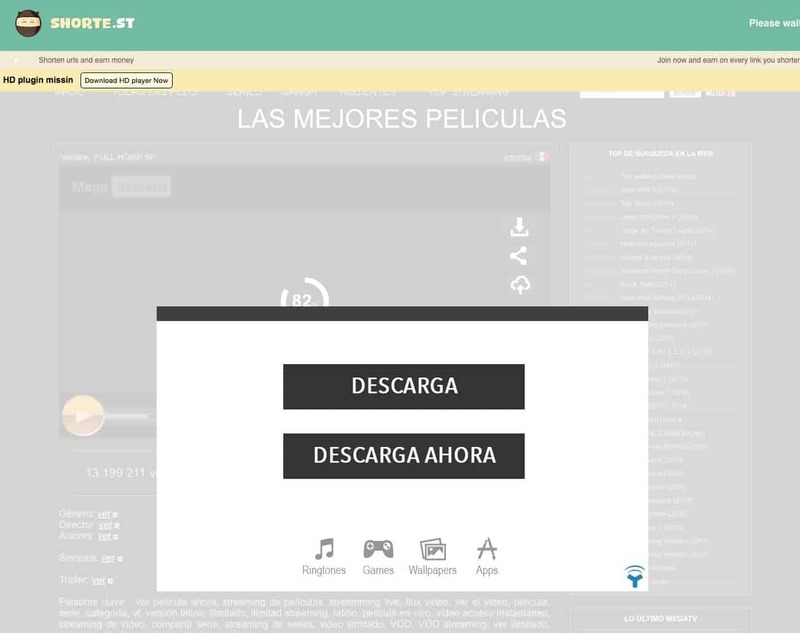 This is perhaps the most interesting and advanced tool Shorte offers for webmasters. 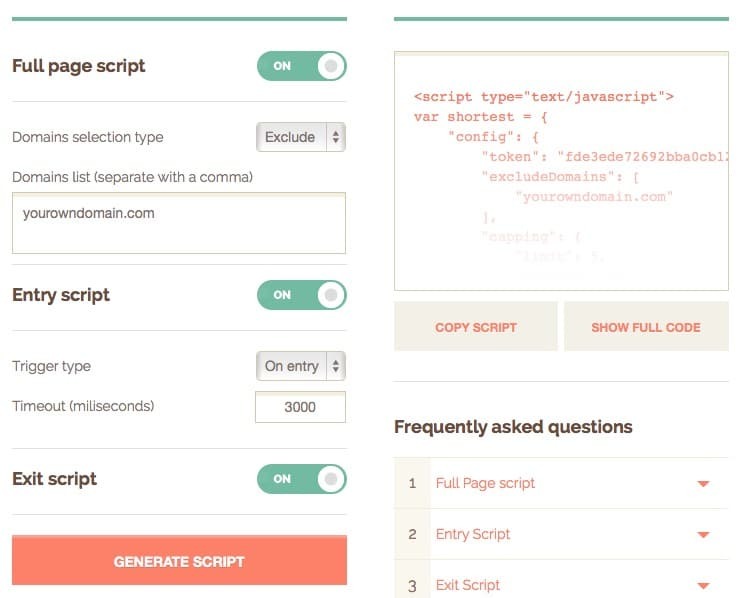 This tool creates a code that you need to paste in your website that will automatically shrink all the links you want to monetize them. As mentioned above, if you’re using WordPress you’ve got all this features inside the plugin as long as you connect your API number with your WP account. Include/Exclude domains: This will allow you to either monetize all of your links except the ones you don’t want (exclude) or just monetize the links you want (include). Include: If you want to monetize all the links going to Youtube videos or Twitter, but you want to keep all the rest of your links clean, you can include youtube.com and twitter.com in the list. The rest of the links, including the ones from your own blog won’t be monetized. Exclude: This feature is great if you want to monetize all of your external links. If I wanted to do this, I’d just exclude the ones from the same domain and leave all the rest to be monetized. For example: if my blog is blog.com, and I want to monetize everything except for the links going to other pages of my blog, I’d add blog.com to the list. Everything else (Facebook, Youtube, Twitter, etc) will be monetized. Entry Script: This feature allows you to show Shorte.st ads to any visitor of your page even if they don’t click on any links. It sounds great for those websites that don’t really link out that much, but I’d be careful cause sounds like a very intrusive ad. I’d use this kind of ads on a torrent/download site but definitely not on a personal blog. Exit script / Bounce rate monetization: This script is really nice because it only monetizes the visitors that are going to give you a high bounce rate on your website. This only applies for visitors that enter to your website, and then they hit the back button without clicking or reading anything from you. Shorte.st will show an ad to those people and you don’t need to worry because everybody else surfing your website won’t see the ads. Sounds like a nice way to earn extra money without being intrusive and you can control the time the user needs to be in your page before becoming a bounced visitor and show them an interstitial ad. Have you seen those content lockers where you need to tweet, share or +1 an article to discover the content? Shorte has a tool for that that will also monetize every social action. This is great for viral blogs. 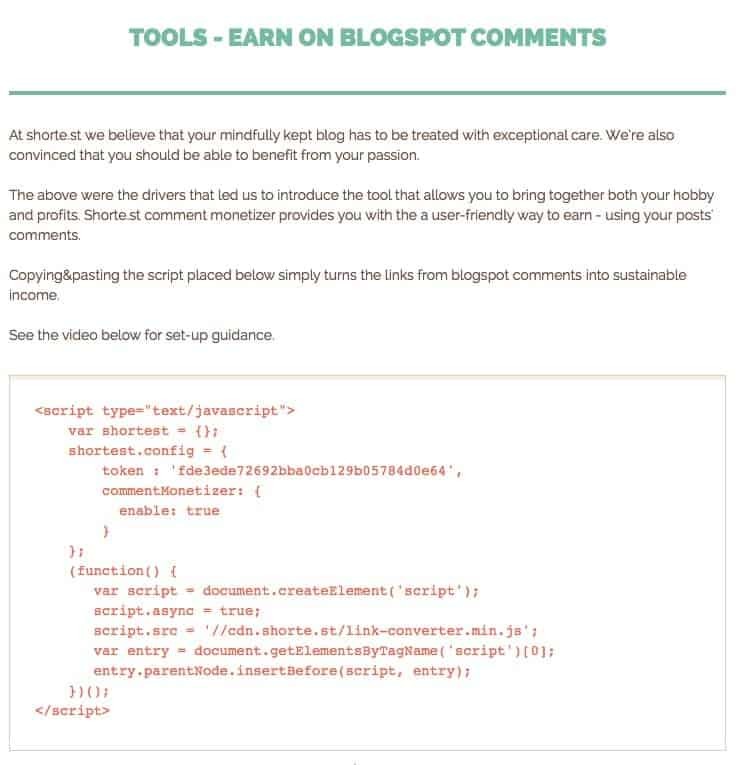 A simple but curious tool Shorte has is the ability to create Blogspot comments that can be monetized by shorte. If you’re a person that comment a lot, this could be useful for you. Shorte pays via Paypal, Payoneer or Webmoney. There’s a very low entry barrier of $5 before getting paid. Shorte pays on a NET 10 basis, which means you’ll be paid at the 10th of each month for the money you did last month. Shorte is a very good alternative to earn money besides the typical banners orpopups/popunders. 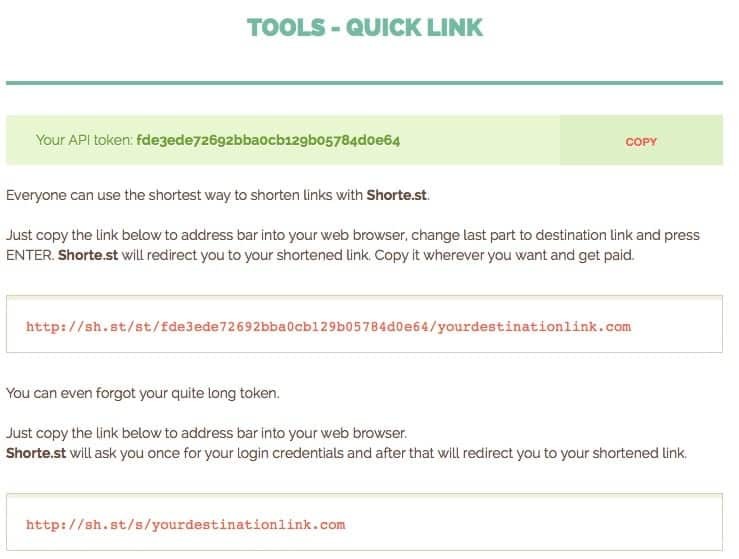 If you want to add some revenue to your website and you’ve never heard of link shortening, Shorte is a great way to get started and they’re user friendly. Their payments are fast and they have a low limit to get paid, which is always nice. Have a look at Shorte (sign up here) and let me know how it works for you.